Do you LOVE to shop on Black Friday? We’ve got a Sinking Fund chart for that! The Black Friday Shopping Sinking Fund Chart will encourage you to save CASH for your shopping spree! Black Friday is my favorite shopping day of the year! Call me crazy but, you guys, I find sooo many deals! There are deals for Christmas gifts, of course, but you will often find great deals on household stuff you need or want. This is your opportunity to SAVE BIG! But WAIT! You gotta pay CASH to make it a real deal! Gain access to the Black Friday Sinking Fund Chart below! When you print, I suggest using Card Stock for durability. Determine how much you want to save for your Black Friday Shopping expedition and write it on the Goal line. Record the date of Black Friday (in case you didn’t know, it’s the day after Thanksgiving). Make Black Friday a part of your monthly budget! If you plan to save $2,000 and you want to save it in 10 months, you need to incorporate $200 a month into your spending plan. Are you ready to shop with CASH in hand? Use the Black Friday Shopping List Printable and get organized! 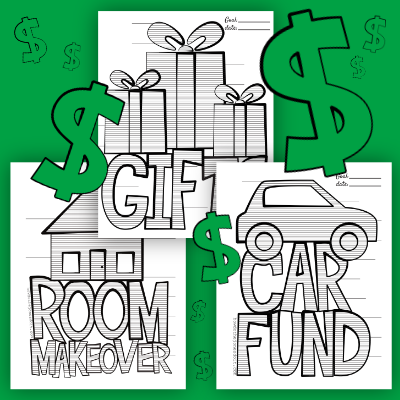 Gain access to the Black Friday Sinking Fund Chart here!